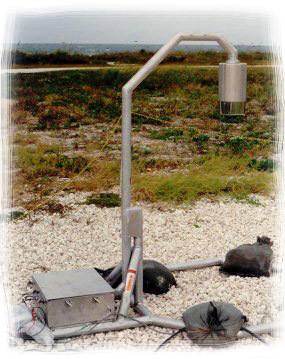 The LPLWS is comprised of 31 AGBFM sensors located about NASA/KSC and the CCAFS. 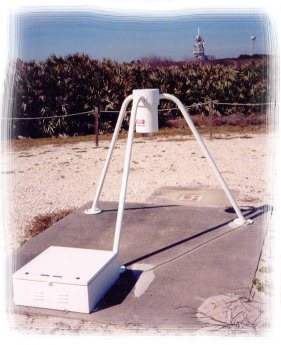 The 45th Weather Squadron operates the Range Weather Operations, which utilzes the surface electric field data from the LPLWS with data from wind sensors, LDAR (Lightning Detection and Ranging), and the NLDN (National Lightning Detection Network) and satellite imagery to forcast and provide weather advisories for Shuttle and ELV (Expendable Launch Vehicle) preparation and launch activities. 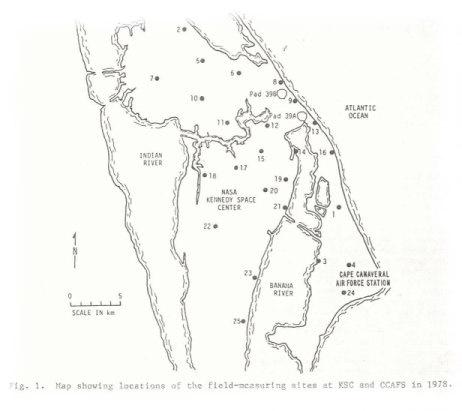 Refer to Lightning and the Space Program (.pdf) for more information. Regulates the mill data acquisition process so that the entire LPLWS data set is synchronized. 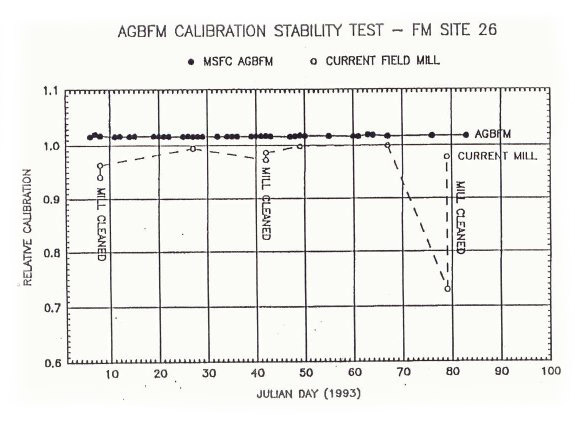 Field test results shoed that AGBFM accuracy was far more stable that the existing "current" field mills. This achievement translated into greatly reduced maintenance overhead and insured a much higher degree of reliability and availability for the LPLWS.